The Kapuso tween actress celebrated her birthday recently with her fans. LOOK: Jillian Ward is all grown up! 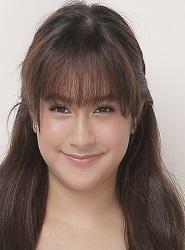 The cute little girl from Trudis Liit is now a young lady! Jillian Ward celebrated her 11th birthday last February 23 with her fans at Kidzcity Play and Party Center with GMA Artist Center. Jillian did not only grow physically but also matured when it comes to her goals as an actress. She is now trying out new roles as she joins the cast of the new “dramedy serye,” Poor Señorita, even if she’s not used to doing comedy. Aside from being a versatile actress, the Kapuso child star also dreams of becoming a professional singer. Jillian loves to post covers in her Instagram account and during her birthday party, she hit the high notes of Ariana Grande’s song "Focus." Jilllian made sure to thank GMA Artist Center for the celebration. She posted, "Thank you to my GMA [Artist Center] family. I enjoyed the party that you prepared for me yesterday."